MEILLEUR, JEAN-BAPTISTE, doctor, educator, founder of the college of L’Assomption, mla, first superintendent of education in Lower Canada; b. 8 May 1796 at Petite-Côte, in the parish of Saint-Laurent (Montreal Island), L.C., son of Jean Meilleur and Marie-Suzanne Blaignier; d. 6 Dec. 1878 at Montreal, Que. An only son, Jean-Baptiste Meilleur was 14 months old when his father died. His mother remarried in 1798, and his paternal grandparents brought him up. It is not known what form his elementary education took. A family tradition has it that at 19 he came into his inheritance and registered at the college of Montreal, where he completed his classical studies among students younger than himself. He became acquainted at the college with a young American convert, John Holmes*, a native of Vermont and a future teacher at the Petit Séminaire of Quebec. Meilleur wanted to become a lawyer, but Holmes advised him to go to New England and study medicine. Meilleur left the college, attended an English school at Montreal, enrolled in. 1821 at Castleton Academy of Medicine (Vermont), which was affiliated to Middlebury College at Montpelier (Vermont), and followed the courses in science and medicine given at both institutions. Chemistry and botany were taught by a famous teacher, Amos Eaton, and experimental physics and mineralogy by Frederick Hall, who had a great influence on Meilleur. On 18 Nov. 1824 Meilleur defended a thesis, “On Scrofula,” which earned him his doctorate in medicine; this was conferred on him in 1825 by Middlebury College, at the time when he was registered as a graduate student at Dartmouth College, Hanover (New Hampshire). During his stay at Middlebury and Hanover, Meilleur gave private French lessons, and in 1825 published A treatise on the pronunciation of the French language . . . , as well as several other short works which are today equally untraceable. His stay in the United States was beneficial for Meilleur. He noticed the enthusiasm displayed by the inhabitants of that country for public education in comparison with the little store set by it in Lower Canada. In addition, he acquired scientific knowledge which would help in the education of his fellow-countrymen. In February 1826, on his return to Canada, Meilleur took up residence at L’Assomption. The following month the Medical Board granted him a licence, and he began medical practice, which he carried on concurrently with his educational, scientific, and political activities. On 26 June 1827, at Repentigny, he married Joséphine Éno, dit Deschamps. Ten children were born of this marriage, one of them being Joséphine-Charlotte who married Georges-Isidore Barthe*. 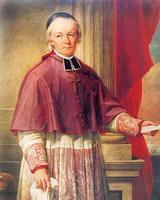 During the 15 years he lived at L’Assomption, Meilleur practised medicine and took an active part in public life. He soon acquired a competency, and the various official positions in which he served gave him a firm reputation as an enlightened citizen. 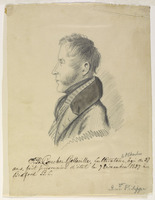 In 1827 he received a commission as lieutenant in the 1st militia battalion of Leinster (L’Assomption County), and five years later a commission as surgeon of the 2nd militia battalion of Berthier (Berthier County). After being named a member of the Medical Board in 1831, he was appointed census-taker and justice of the peace for Leinster County, and in 1834 became postmaster at L’Assomption. From 1827 on, he had been actively involved in the elections to the House of Assembly, and in November 1834 was elected, at the same time as Édouard-Étienne Rodier*, for L’Assomption County; he served until 1838. Meilleur’s political venture was a brief one, but he sat in the assembly amid the feverish atmosphere that preceded the 1837 rebellion. 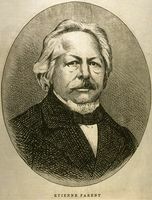 His colleague Rodier, one of the most prominent members of the Patriote party, endeavoured, unsuccessfully, to see that Meilleur, who was considered a moderate, did not follow those who broke away from Louis-Joseph Papineau. When the orator came to harangue the students of L’Assomption, Meilleur replied tartly to his impassioned appeals. 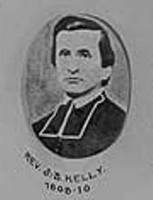 Although in sympathy with the Patriotes’ cause, he disapproved of their appeals to violence, and he went through all the parishes in his county to exhort the population to obey the pastoral letter of Bishop Jean-Jacques Lartigue*. As a member of the house standing committees on education, hospitals, and charitable institutions, Meilleur had a hand in the passing of a bill creating normal schools. But the opposition of the Legislative Council prevented the renewal of the 1829 primary schools act, thus forcing some 1,300 schools to close their doors. Meilleur got approval for the purchase of the museum established by Pierre Chasseur, and he was made responsible for classifying the collection of animals that Chasseur had placed in their natural habitat. This museum was almost completely destroyed in the fire that devastated the Quebec parliament in 1854. Meilleur’s interest in education and science was revealed also by the numerous letters and articles he published from 1826 on in La Minerve of Montreal, of which he was the correspondent, in Michel Bibaud*’s Bibliothèque canadienne, and in L’Écho du Pays and Le Glaneur of Saint-Charles-sur-Richelieu. 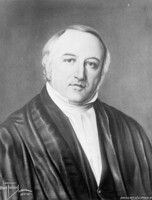 He wrote on chemistry, domestic economy, the salt-impregnated water of L’Assomption, geology, agriculture, and the Hessian fly; in 1826 and 1827 he published in the Quebec Medical Journal, the first Canadian medical journal, two articles, one “On prussic acid” and another “On scrofula,” which was his doctoral thesis. In 1828, in La Minerve, Meilleur began to publish letters on education which gave rise to a long controversy; he kept it alive himself, signing some of his letters with various pseudonyms. In this way he prepared people’s minds for the founding of a college at L’Assomption, where he had become a trustee of the parish schools established by the act of 1829. He undertook to give regularly each week in the village schools explanations and exercises relating to grammar, arithmetic, and geography. In 1833 he published a Nouvelle grammaire anglaise, and, at Montreal, his Cours abrégé de leçons de chymie. The latter work, intended for the youth of the schools, was the first of its kind written by a Canadian and published in Canada. Having finally won over the parish priest, Abbé François Labelle, and his confrère, Dr Louis-Joseph-Charles Cazeneuve, he founded with them the college of L’Assomption, which opened its doors in 1834. The founders, the priest’s brothers, and some friends subscribed the funds required for its construction, and Meilleur obtained from the Legislative Assembly a grant for its operation. The teaching followed Lancaster’s mutual system, which was popular at the time (under the master’s direction, the most advanced pupils instructed the youngest). Except for the parish priest Labelle, the teachers were all laymen [see Dupuy]; the pupils who were boarders took their meals at the presbytery as (lid the teachers. The deplorable state of education in Lower Canada and the ways to remedy it were one of the concerns of Lord Durham [Lambton*]. In July 1838 he issued letters patent, which were published in the papers, instructing Arthur Buller*, a member of his administrative staff, to “inquire and seek information as to the past and present methods of utilizing all moneys or funds intended for or applicable to education in the said province of Lower Canada.” Meilleur replied to this invitation. An exchange of letters began on 3 Aug. 1838 in Le Populaire of Montreal; the first one, signed with the initials A.B., was followed by a reply signed C.D. of which Meilleur claimed the authorship; he also said that the one signed A.B. was by Arthur Buller. In four letters, printed in Le Canadien of Quebec, Meilleur outlined plans for the organization and financial support of public instruction, from the primary school to the classical college. A.B. published three letters in this paper, and other correspondents took part in this interesting discussion, to which Meilleur replied in a fifth letter. Meiller did not favour imposing a land tax, because of the poverty and even destitution of the farmers and proposed in his letters that, at least at the beginning, primary education should be free. To balance the cost, the wealth of the Jesuits would be used, particularly to subsidize the classical colleges, where he wished to see the direction and teaching reserved for the clergy. He, suggested increasing customs duties on tobacco and alcoholic beverages, and raising the amount charged for innkeepers’ licences. Finally, the savings realized by reducing the enormous salaries of certain officials would be allocated for education. In his second letter Meilleur analysed the causes of the sorry plight of education: the apathy. ignorance, and prejudice of too great a number of farmers, bad administration on the part of trustees who were sometimes illiterate, the incompetence, and poor habits of too many teachers, and the beggarly emoluments of schoolmasters. In the third, he described the school organization he; advocated. He visualized four levels, including; classical teaching, leading to the priesthood and the professions; academic teaching, including; model schools, analogous to the high schools he; admired in the United States, and preparing for commerce, business, the classical course, and., as necessary, training future elementary school. teachers; and normal schools for the training of secondary school teachers. The fourth level. primary school, would be obligatory, and Meilleur’s wish was that after 10 years no one would be allowed to hold a public office if he had not at least this level of instruction. Boards of examiners would confer teachers’ certificates, and visitors would see that the schools, administered by trustees elected by all groups of a parish, were pedagogically and financially efficient. Meilleur firmly, convinced that a law of this kind would be successful, was ready to assume full responsibility for it. 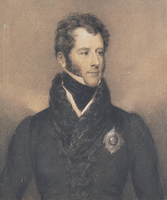 Meilleur’s observations were well received by Lord Durham, who made favourable mention of them in his famous Report, but the plan did not correspond to his views. When the union of the two Canadas was an accomplished fact, a Montreal lawyer Charles-Elzéar Mondelet published in the Canada Times of November and December 1840 a series of letters. In them he proposed the setting up of communal schools, in which religious instruction would be given under the supervision of ministers of the various churches, and which would be financed by a land tax, and the creation of school districts administered by commissioners, of whom some would be elected and others nominated by the district inspectors, the whole being under the jurisdiction of a superintendent appointed by the governor. 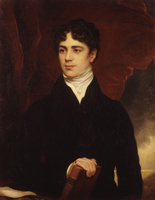 The plan was coldly received by the religious authorities; however, the education act of 1841 was partly based on Mondelet’s proposals, and everyone thought he would be appointed superintendent of education. 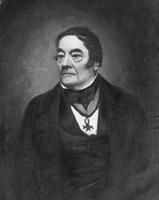 But when he was appointed a judge by the governor, Sir Charles Bagot*, Meilleur asked for the post of superintendent. 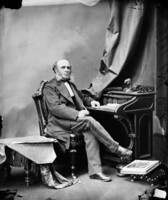 In 1842 Bagot, judging that one man could not perform its duties properly, appointed an unpaid superintendent, responsible to parliament, and two deputy superintendents: Meilleur for Lower Canada and the Reverend Robert Murray* for Upper Canada. 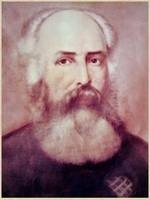 Meilleur, who had been practising medicine in Montreal since 1840, was the obvious choice for the duties that were being entrusted to him. Bilingual, and a man of integrity, he had acquired valuable experience in the field of education. He had, however, to set in motion, in deplorable conditions and in the unhealthy political climate of the first years of the union, a law that went against his own convictions. The 1841 act related to both schools and rural municipalities, and in practice did not distinguish between the municipal councils and the school commissions that in a way emanated from them. The members of these commissions, elected by the taxpayers of the school districts, were to administer the schools, while the mayors and treasurers of the municipalities, appointed by the governor, received the grants paid by the superintendent of schools and were authorized to levy and collect school taxes as well as municipal taxes. The people, who had never paid any taxes, detested the school tax, the more because it was imposed on them by non-elected officials. The act did not provide for initial expenses, maintenance costs, or the payment of staff for the office of the deputy superintendent, who had furthermore to be content with a salary lower than that of his counterpart in Upper Canada. Under these conditions, about which Meilleur constantly complained, he had to revive schools which had been closed for six years and create others, knowing that there were not enough competent teachers to meet the demand. He had no real authority over school curricula and textbooks, any more than he had over the choice of schoolmasters. During the 13 years of his administration, Meilleur had to apply seven different versions of the schools act. The 1845 version corrected a few anomalies of the original act: it made Meilleur the superintendent of education for Lower Canada, and put the parish rather than the municipality at the base of the school system. In addition, it replaced the obligatory tax by a voluntary contribution, collection of which, Meilleur foresaw, would be difficult and uncertain. In 1846 an act set up parish school commissions; their members, elected by the landowners, were to raise, through contributions, a sum equal to the grant made by the superintendent. A board of examiners was to approve the school textbooks and the teachers’ certificates, but the commissioners hired the teachers and could decide upon the curricula to be used in their schools. It has been said of this act that it was the great charter of public instruction in Quebec, but contemporaries did not view it in this way. The habitants of the country districts, spontaneously or at the instigation of demagogues, many of whom were mlas, saw in it nothing less than the dreaded spectre of taxation, and that is how what has been called the guerre des éteignoirs began. Parents withdrew their children from the schools; elections of commissioners were interfered with; prominent citizens and members of the clergy who supported the superintendent and the government were intimidated; schools were burned. In certain places the government had to be asked to call in the militia to re-establish order. These disturbances lasted until about 1850, at which time, in the face of the firm attitude of the superintendent, the clergy, and the civil authorities, the rural population calmed down and recognized the benefits that education could bring them. The acts of 1849 and 1851 brought Meilleur only part of what he had been seeking for a long time visitors, then school inspectors, whom he had appointed immediately, and normal schools, which came into existence only under his successor’s administration. Meilleur, especially at the beginning of his administration, could well say that having had to struggle unremittingly against difficulties and obstacles not created by him, he had had more worries and weariness than success in the application of an unpopular act, and that no one seemed to know what the Department of Education was. Later he was able to congratulate himself on the ever growing number of schools and of pupils who attended them. This increase meant an added burden of work and responsibilities too heavy for one man, who was approaching 60 years of age. Meilleur’s personality did not make things easier. He was a blunt man, who did not brook interference in his affairs. Portraits of him show a man with a high, broad forehead, thin lips, and a strong jaw; the look appears at first severe and inquisitive, but one detects a certain gentleness in it. His didactic writings testify to his respect for science as a source of certainty and to his sense of order and method, which often became dogmatic. His astounding memory and almost universal curiosity induced him, except when he was a superintendent, to give the newspapers his opinion on all manner of questions. But if he wrote a lot it was because, as a timid and uncommunicative man, he preferred the pen to the spoken word as a way of convincing people and if need be to justify himself. His correspondence with Abbé Louis-Édouard Bois*, his only confidant, shows that in trying to escape the interventions of politicians Meilleur was uncompromising in the extreme. His letters are full of his complaints, his anxieties about his family, whom he accused himself of neglecting, but also of his suspicions concerning mlas and ministers and of accusations against them. His distrust, not always justified, prevented him from associating with those who might have been able to help him. 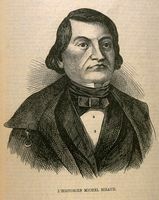 When the government left Montreal, after the riots and the burning of the parliament buildings in 1849, Meilleur followed it neither to Toronto nor to Quebec, where it sat alternatively. Far from the centre of power, the superintendent found himself more and more isolated and overlooked. During this period, classical teaching in Lower Canada was at its peak, and the Institut Canadien was the focal point of renewed intellectual activity at Montreal and Quebec; younger men were entering parliament, and among the school commissioners were men better educated than others about whose competence he had complained. Those whom Meilleur called his adversaries cast doubt on the quality of the masters and the education they were dispensing. 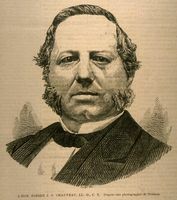 In 1853, to ascertain what the situation was, the Legislative Assembly appointed a special committee, presided over by Louis-Victor Sicotte*, the member for Saint-Hyacinthe, “to inquire into the state of education.” Meilleur, who thought Sicotte was proud, vindictive, and arrogant, considered this inquiry a personal insult. The Sicotte report brought out facts such as the illiteracy of half the commissioners, and the lack of qualifications of the majority of male and female teachers, of whom most were too young and all were badly paid. These were things that the superintendent, anxious to open schools and lacking teachers, had been unable to prevent, since the act gave him neither the authority nor the means to do so. The committee did not blame Meilleur directly, but concluded that the school system needed “a directorate that is active, energetic, and intelligent, and has the right to take the initiative . . . .” However, the report recommended keeping the structure and principles of the: 1846 act, while modifying its details and increasing; the financial participation of the government, so, that the plans the committee was submitting might be carried out. The most important were the appointment of competent inspectors, fewer and better paid, who would preside over the examiners’ boards of the school districts and form, with the superintendent, the Council of Instruction; this council would be responsible for applying the schools act, and, among other activities, choosing and approving the school texts and having them printed, and ensuring the uniformity of teaching methods. Finally, the report recommended that normal schools be opened at Quebec and Montreal, that teachers be better paid, and that they be assured of a pension after 30 years of teaching. The Legislative Assembly did not put this report into effect. For his part, Meilleur prepared a plan designed to correct a situation he deplored, but the government of Francis Hincks* and Augustin-Norbert Morin* did not deem it opportune to bring it before the assembly. Meilleur’s position rapidly became untenable, and on 19 June 1855 the superintendent resigned. Pierre-Joseph-Olivier Chauveau* succeeded him. Chauveau was more fortunate than his predecessor, whom he praised in his first Rapport annuel for “the intelligent and continued efforts, the determined perseverance, the even superhuman patience required merely to manage to set in motion a law that was unfortunately unpopular.” He had the support of a council and a department of education established in 1856. Meilleur never forgave Chauveau for not mentioning his name in this report, and in 1859 picked a useless quarrel with him in La Minerve, over a trifling botanical question. Meilleur’s career continued to wane, although on several occasions his fellow-citizens showed him their gratitude. Immediately after his resignation he was appointed director, then in 1861 inspector, of the post office at Montreal. He ran into serious difficulties in this appointment, being obliged to make good from his own pocket a cash deficit for which he was not responsible, and he left his employment. As he could not continue to live except by using up his slender resources, he accepted the office of justice of the peace, and, in response to a petition from 30 mlas worried about his fate, the government appointed him temporarily a distributor of legal stamps. When confederation, which he had combatted, finally came into being, he became provincial deputy registrar, with residence at Quebec, and his salary was paid until his death. In retirement, the former superintendent found new intellectual vigour. In 1857 he attended the congress of the American Association for the Advancement of Science held at Montreal, was a member of the local organizing committee, and deplored the apathy of his French-speaking fellow-citizens. The following year he disputed the validity of the opinion of those who claimed that French Canadians had no aptitude for sciences. 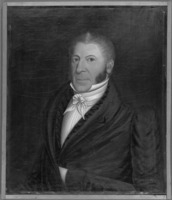 The Société Saint-Jean-Baptiste of Montreal had elected him president “in recognition of the outstanding services he had rendered to the country in the cause of education,” and he was president of the building society of the district of Montreal. During this period he wrote the work that was to be the crowning achievement of his career as an educator, and in a manner avenge his memory. The Mémorial de l’éducation du Bas-Canada appeared in Montreal in 1860; the first edition, which had a printing of 1,009 copies, was quickly exhausted, and a second, considerably larger, was published at Quebec in 1876. This is an indispensable work for anyone who wishes to know the history of education in Canada. The author gives an objective version of the events in which he was both actor and witness, without showing animosity against those who, he says nonetheless, thwarted his endeavour. 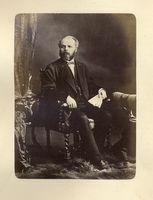 While he was living at Quebec, Meilleur became interested again in the natural sciences and collaborated actively with his friend Abbé Léon Provancher*, who in 1870 got him elected president of the Natural History Society of Quebec. He published several articles in Le Naturaliste canadien, which Provancher had started in 1868. In his old age Meilleur thus returned to his first love, after having devoted to education the 30 most fruitful years of his long career. His life was an example of persistent and unselfish determination in the service of his fellow-citizens. Meilleur’s writings are extensive. His reports as superintendent of education for Lower Canada are published in appendices of the JALPC for 1843–55. In addition there are: “Agriculture et chimie,” Bibliothèque canadienne (Montréal), VI (1828), 72ff. and VII (1828), 73ff. ; “Analyse de l’eau saline de L’Assomption,” Bibliothèque canadienne (Montréal), II (1826), 142, 199; Cours abrégé de leçons de chymie, contenant une exposition précise et méthodique des principes de cette science, exemplifiés (Montréal, 1833); “Dissertation on scrofula,” Quebec Medical Journal, I (1826), 233 and II (1827), 81ff. ; “Géologie; réponse à J.M.B.,” Bibliothèque canadienne (Montréal), V (1827), 215; “Lettre à l’abbé Provancher au sujet du Traité de botanique de l’abbé O. Brunet,” Le Naturaliste canadien (Québec), II (1870), 150–52; “Lettre au sujet des recherches du docteur J.A. sur la ‘bufonine’”, Le Naturaliste canadien (Québec), II (1870), 239–41, 268–70; “Lettre de remerciement à l’abbé Provancher,” Le Naturaliste canadien (Québec), IV (1872), 100–2; Mémorial de l’éducation du Bas-Canada (1re éd., Montréal, 1860; 2e éd., Québec, 1876); Nouvelle grammaire anglaise . . . (1re éd., Saint-Charles-sur-Richelieu, Qué., 1833; 2e éd., Montréal, 1854); “On Prussic acid,” Quebec Medical Journal, I (1826), no.3, 171ff. ; “Quelques-unes de nos plantes les plus intéressantes,” Le Naturaliste canadien (Québec), II (1870), 355–64; “Supplément critique au Petit traité d’agriculture de Valère Guillet,” Bibliothèque canadienne (Montréal), IX (1829), 170–77, 189–95, 210–14; A treatise on the pronunciation of the French language or a synopsis of rules for pronouncing the French language with irregularities exemplified (2nd ed., Montreal, 1841). There are also a number of articles either under his own name or under a pseudonym in the following newspapers, L’Écho du pays (Saint-Charles-sur-Richelieu, Qué. ), 10 oct. 1833, 4 juill., 11 juill. 1833; Le Glaneur (Saint-Charles-sur-Richelieu, Qué. ), avril, mai, juin, sept. 1837; Mélanges religieux (Montréal), 1841; La Minerve (Montréal), 1826, 1829, 9 juin 1831, 23 août 1832, 3 mars, 17 mars, 19 mars, 9 avril 1859; Le Populaire (Montréal), 6 août, 13 août, 17 août, 27 août, 3 sept., 5 sept., 7 sept., 26 sept. 1838. AJM, Registre d’état civil. ASJCF, Collège Sainte-Marie, Fonds Meilleur (microfilm in the possession of Léon Lortie). ASN, Collection Bois, lettres de Jean-Baptiste Meilleur (microfilm in the possession of Léon Lortie). Audet, Le système scolaire de la province de Québec, I. Anastase Forget, Histoire du collège de L’Assomption (Montréal, ). J. K. Jobling, “The contribution of Jean-Baptiste Meilleur to education in Lower Canada,” unpublished ma thesis, McGill University, 1963. 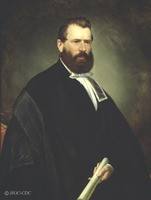 André Labarrère-Paulé, Les instituteurs laïques au Canada francais, 1836–1900 (Québec, 1965), 161ff. Léon Lortie, Notes sur le « Cours abrégé de leçons de chymie » de Jean-Baptiste Meilleur (Publ. du laboratoire de chimie de l’Université de Montréal, 1, Montréal, 1937). L.-P. Audet, “Index analytique du Mémorial de l’éducation dans le Bas-Canada du Dr Jean-Baptiste Meilleur,” RSCT, 4th ser., II (1964), sect.i, 49–62; “Jean-Baptiste Meilleur était-il un candidat valable au poste de surintendant de l’Éducation pour le Bas-Canada en 1842?” Cahiers des Dix, XXXI (1966), 163–201. Léon Lortie, “Deux notaires amateurs de science; Jean De Lisle et son fils Augustin-Stanislas De Lisle,” RSCT, 3rd ser., LV (1961), sect.i, 39–17; “L’étrange aventure de quelques documents officiels concernant Jean-Baptiste Meilleur,” Annales de l’ACFAS (Montréal), IX (1943), 171–75; “Les lettres de J.-B. Meilleur sur l’éducation en 1838,” Revue trimestrielle canadienne (Montréal), XXIV (1938–39), 251–71; “Le retour de Jean-Baptiste Meilleur au Canada,” RSCT, 3rd ser., L (1956), sect.i, 69–83. 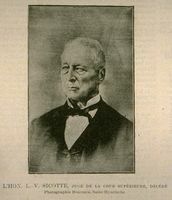 Léon Lortie, “MEILLEUR, JEAN-BAPTISTE,” in Dictionary of Canadian Biography, vol. 10, University of Toronto/Université Laval, 2003–, accessed April 20, 2019, http://www.biographi.ca/en/bio/meilleur_jean_baptiste_10E.html.